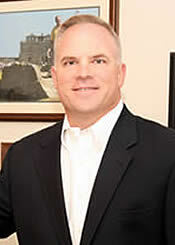 Michael McGuire joined the Sko-Die management team in 2012 as Director of Business Development. His leadership role focuses on expanding current sales, developing new customers and strengthening current sales and customer service processes. Working in conjunction with Sko-Die’s existing and future marketing strategies, Michael’s goal is to help Sko-Die achieve its commercial growth objectives. Michael is an accomplished steel industry executive with over 20 years’ experience developing sales strategies, organic and acquisition based expansion and operational improvements. He is highly skilled in objective setting and execution, product line and manufacturing management and has excellent leadership and communication ability. After graduating from the University of Wisconsin (Madison) with a BA degree in Economics, Michael started his career as an Account Executive with a company that was acquired by an international electrical steel products supplier. He worked his way up to a National Sales Manager by building strategic alliances with key OEM customers and supplying mills. After 8 years, to build his experience and knowledge, Michael joined another leader in the electrical steel industry. He continued his success in building strategic sales channels and creating new revenue streams through the addition and expansion of product lines. This included leading the successful acquisition and executive management of a new operating division. Michael and his wife, Mary Kay, have been married for 20 years. They were both born and raised in Chicago and continue to live there in the Rogers Park neighborhood. They have three children who keep Michael busy outside of work as he coaches them in their baseball, football and basketball programs. He also is an avid golfer and a woodworker/handyman that spends much of his free time with the ongoing renovation projects of his 1927 Chicago Bungalow. To contact Michael please e-mail him at michael.mcguire@skodie.com or call him at (800) 486-4756 x120.